We've been busy this summer, running around, getting ready for school to start, and wouldn't you know it, I look over on the counter and I have a few bananas starting to turn brown. Too brown for small people to eat, that is for sure. To them, brown = poison! Head for the hills if your apples oxidize! Fruit peels and flesh should be empirically attractive before the small fry shall deem it edible. 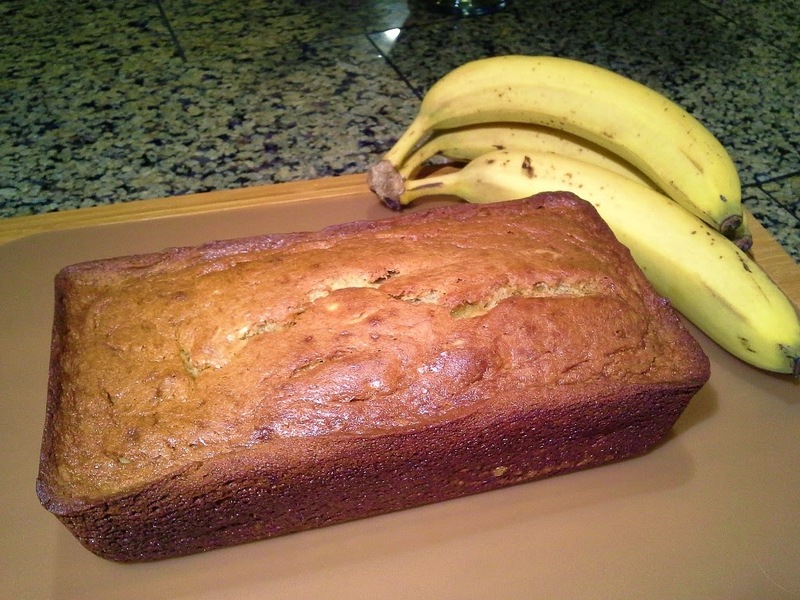 I decide we should not let these ugly, yet extra sweet banans go to waste, and that this would be an excellent time to test out a new banana bread recipe. So behold, I give you about the best thing you can make with a few-days-old fruit! 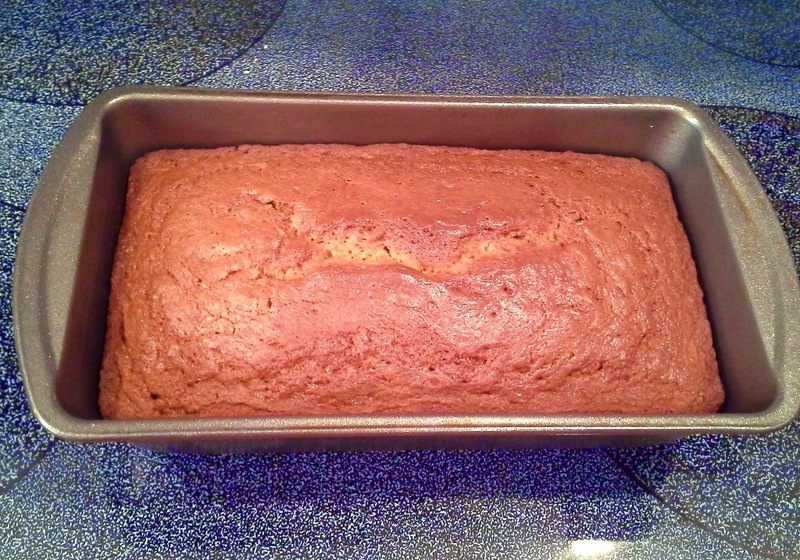 Delicious Banana Bread hot from the oven - something everyone will love! 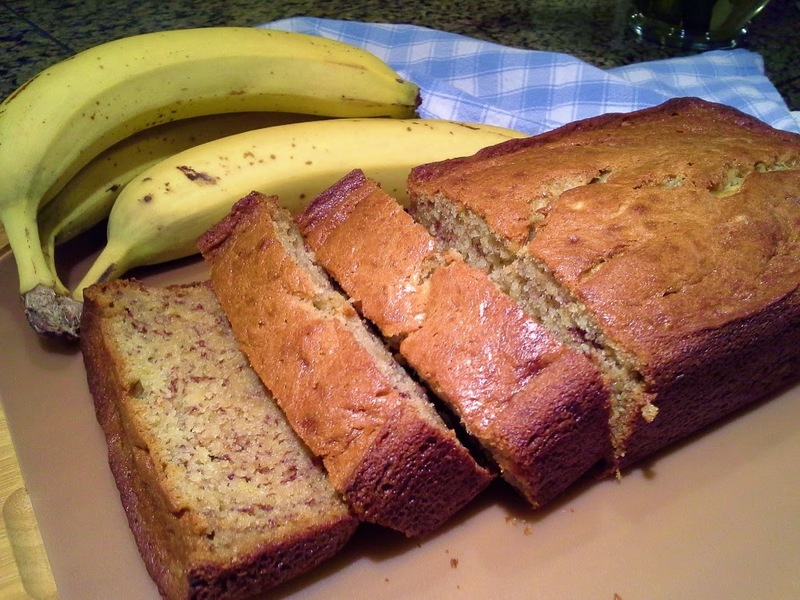 If you google "the best banana bread ever" a myriad of recipes will pop up. One of the first few is from Martha Stewart. 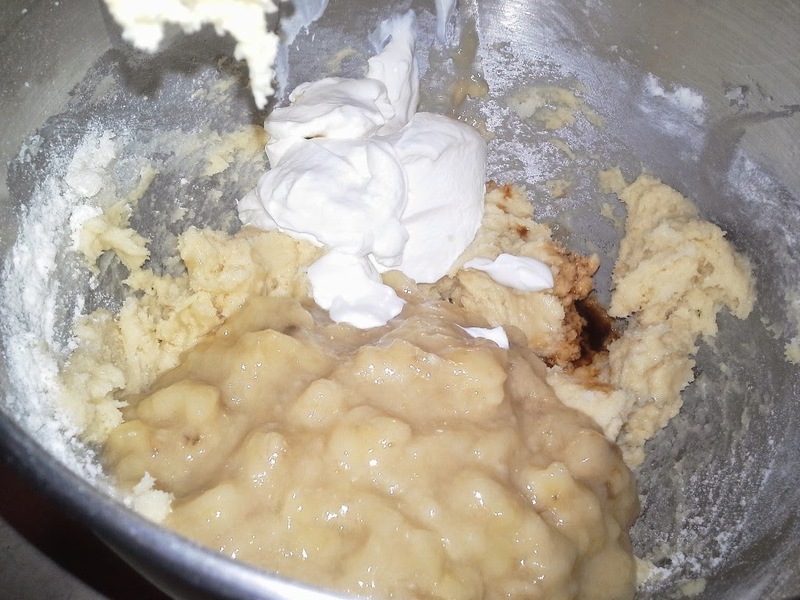 After a quick glance through the ingredients, I really liked that the recipe had sour cream in it, which I hoped translated into that the whole thing was going to be intensely moist and deliciously dense. 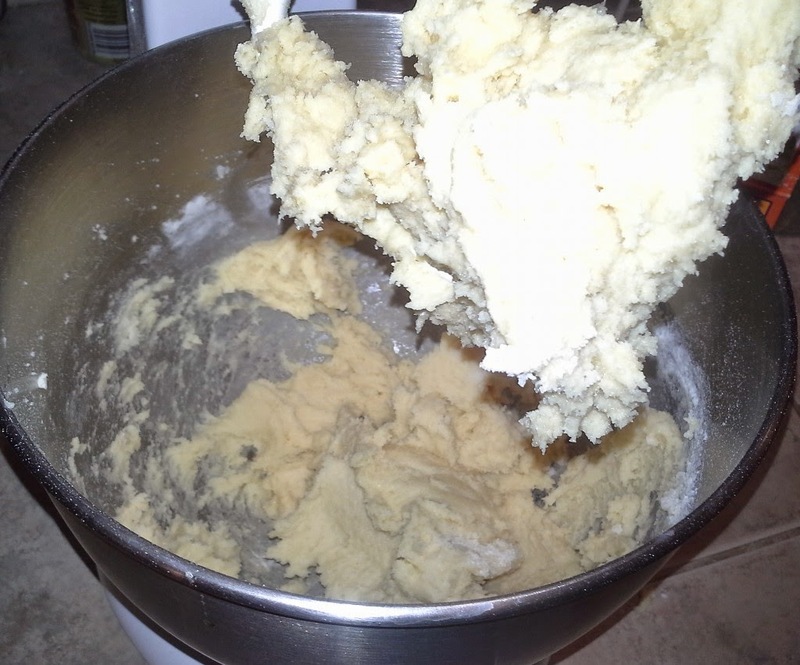 Here is a link to the original recipe, which we followed exactly (minus the nuts). 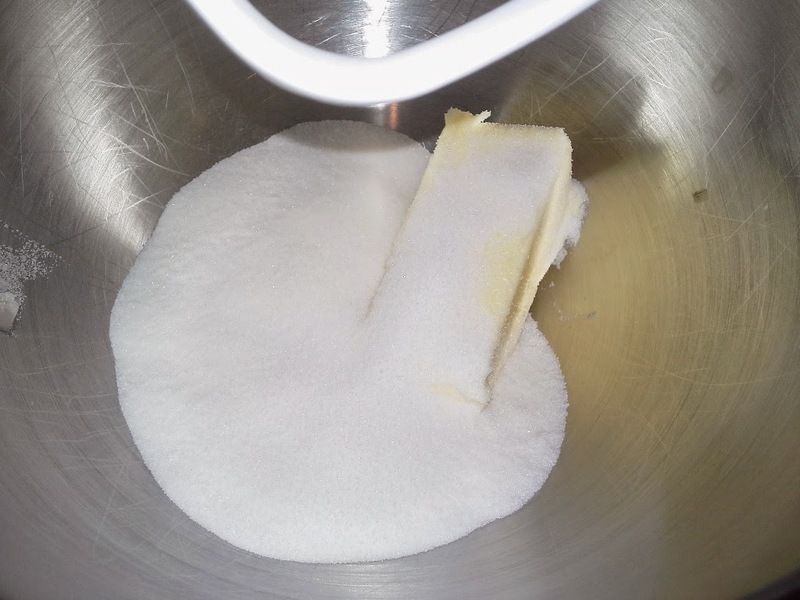 Take your softened butter and 1 cup of sugar and place in a mixing bowl and cream together. 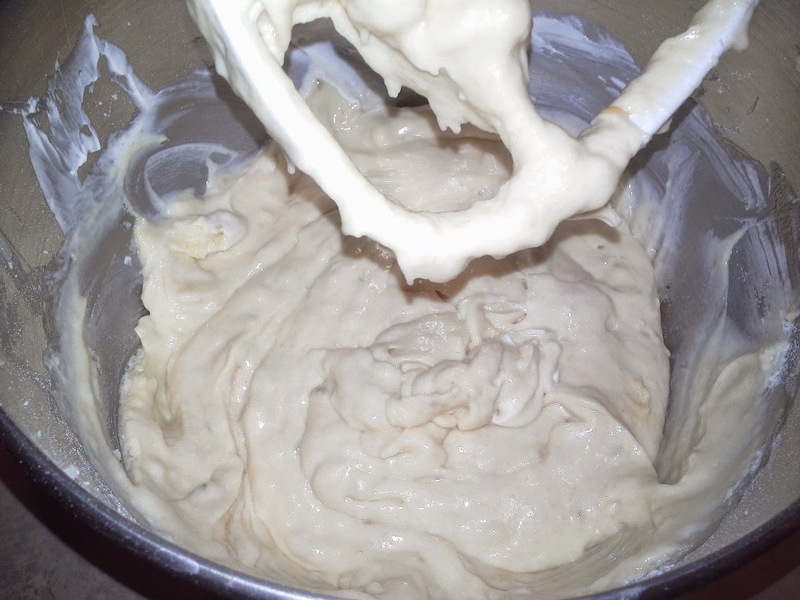 Now you want to add in your 1 cup of mashed bananas, the 1/2 cup of sour cream, and the 1 teaspoon of vanilla. 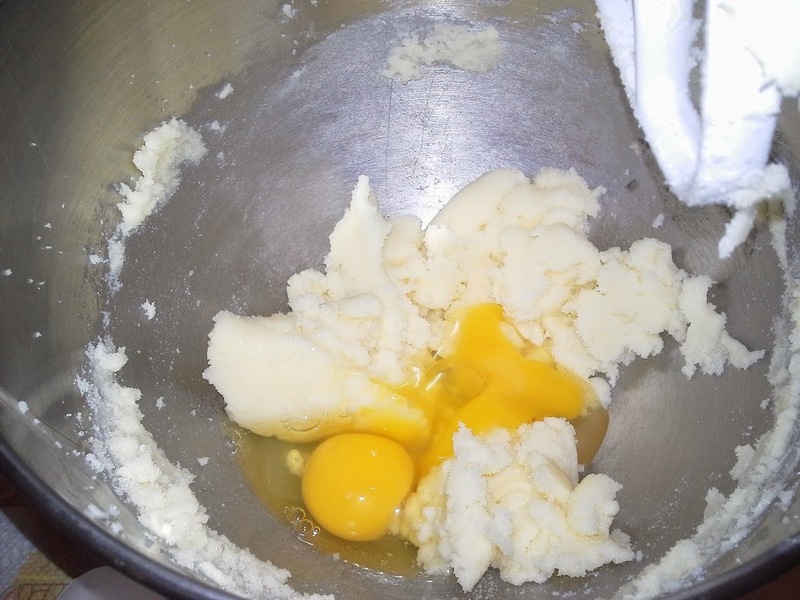 Blend together to form a nice smooth batter. Your house will smell like heaven at this point. 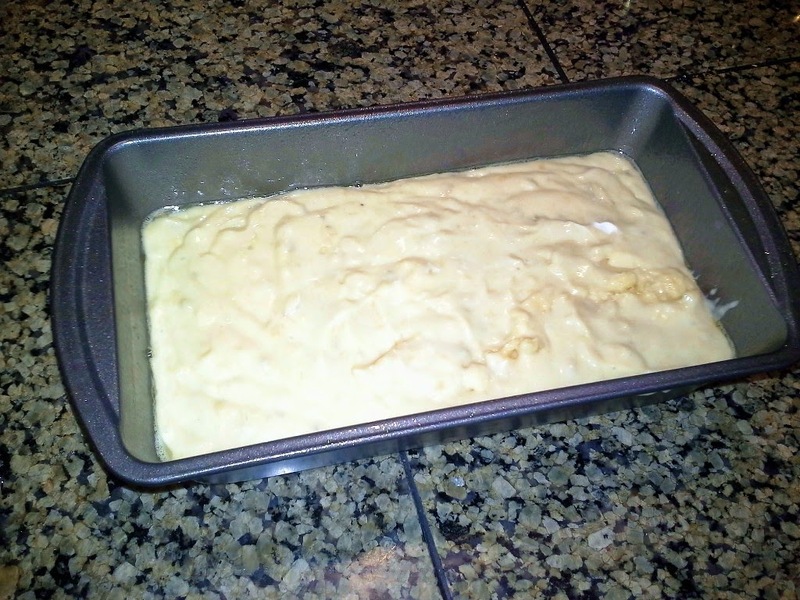 Keep in the pan to cool completely, or after about 10 minutes turn out to a cutting board to cool. Mmmm can you smell it? At this time you can cut it up and serve it. Mmmmm mmm delicious! If you get a chance to eat it while it is still warm, it's pure heaven I tell you. You can also let it cool all the way, wrap it up, and give as simple house warming gift, hostess gift, eat it for breakfast the next day. 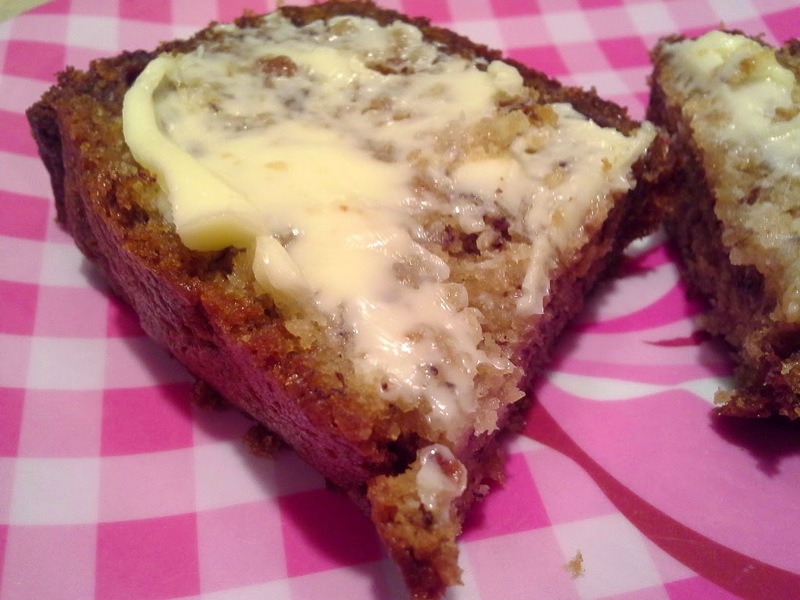 I can't imagine anyone refusing delicious, homemade from scratch banana bread. We like to put a little butter on it while it is still warm and enjoy it with a cold glass of milk. So all in all, this turned out to be a great recipe. That Martha really knows what she is talking about. The bread was very moist, very dense, and of course very delicious! Happy Baking, enjoy!